Business advisory firm Deloitte heralded the arrival of the Chinese New Year with the latest in its series of Doing Business in China events. Liwen Clifford, Languages at Lunch; Sam Pinney, Net-Expat; Jo Haslehurst, Deloitte; Angela Keane, Net-Expat. 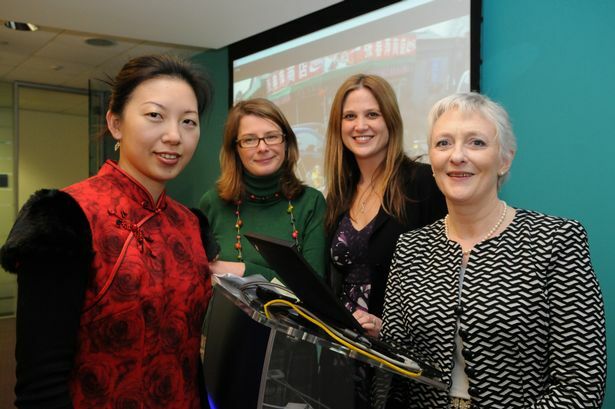 Held at its offices at Brindley Place, the event saw guest speaker Angela Keane – who has more than 10 years’ experience of working in China, and who provides coaching and support to expatriates and their spouses – lead a session on Chinese business culture. The event was sponsored and led by Deloitte Midlands tax partner Joanne Haslehurst and developed by manager, Abbas Peera. The Doing Business in China programme includes language and cultural training and a range of other aspects such as tax, immigration, payroll advisory and relocation. Spanish courses at Howbery Park, WallingfordWe are now on facebook!